Cleaning like you never imagined. Meet Valore. Made precisely from chemistry. Not just cleaning re-imagined. Cleaning like you never imagined. Meet Valore. Made precisely from chemistry. Get a 5 year labor warranty for your shower with Valore. Do you know chlorine bleach does not kill mold, it merely bleaches it! Once we seal your shower, the mold and mildew cannot stain your grout. Simply just spray Valore on your shower, (waist level, down) once every three weeks and spray the entire shower once every 3 months. This process eliminates the need for scrubbing your shower after the grout gets sealed with Caponi®. If soil is present, simply just spray and wipe. No more bleach, harsh chemicals or wasted time. The most natural way to clean. Until now, finding a green safe cleaner that actually worked was a burden. You either had to scrub, squeegee or wear a respirator. The new Valore formula is designed to take the work out of cleaning. Valore will seal and clean at the same time. Strengthened at the molecular level. 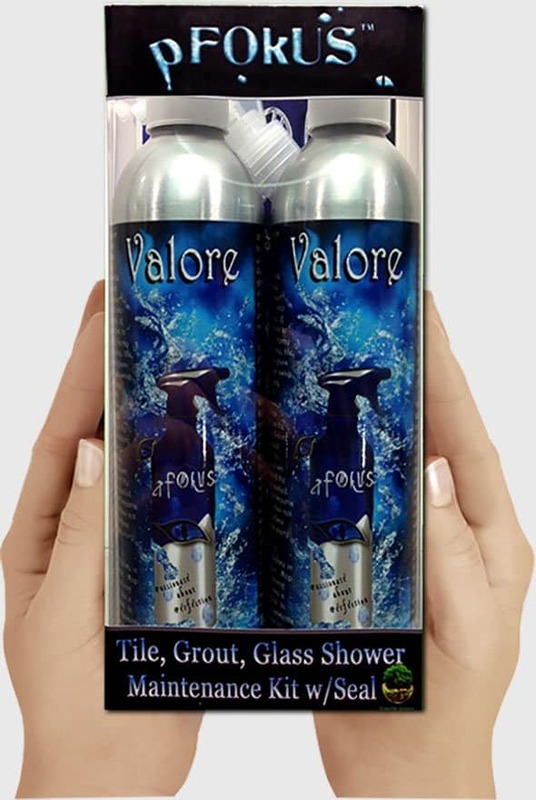 Valore is not a deep cleaner, but more of a sealer that maintains the shower with little effort. It’s fortified at the molecular level through ion exchange with infused H2O2, providing more protection for grout than any regular sealer. A smarter way to clean just about everything. 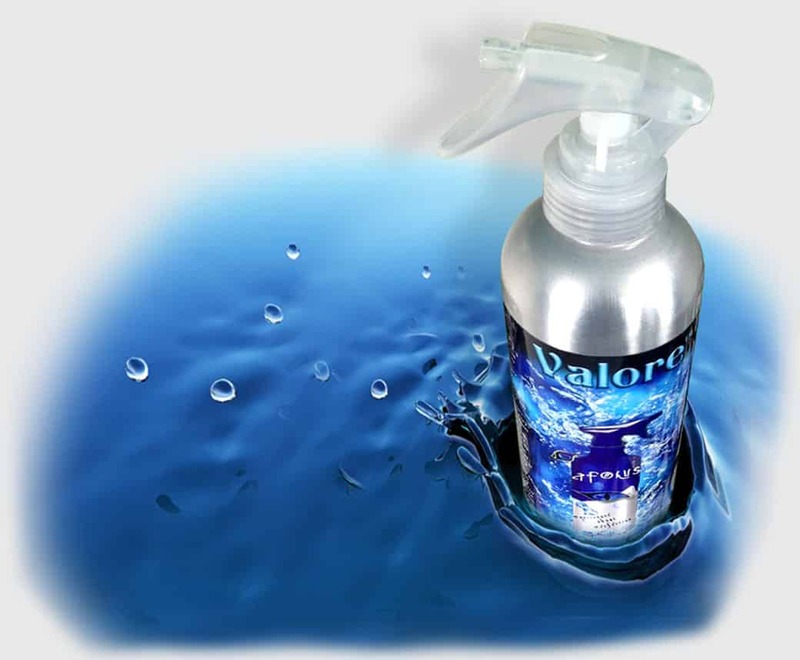 No more squeegeeing glass with Valore. 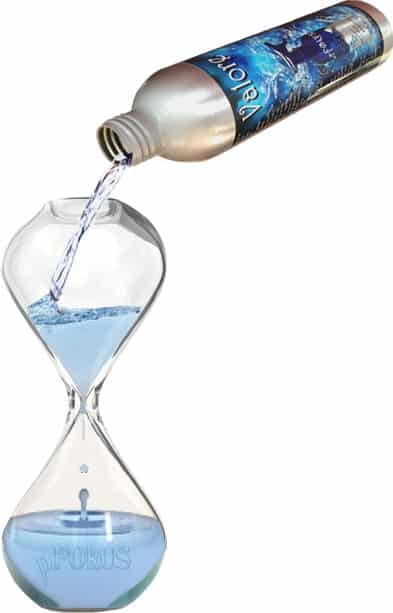 Simply rinse the glass down after each use washing any soap residue off. The glass will dry dot free. If soap residue is present after showering, wipe down softly and simply rinse the glass down. Obtain your 5 year labor warranty. Obtain your 5 year warranty. And save time cleaning. It’s one continuous form, where sealer and cleaner function in perfect unison, creating a new generation of maintenance that’s better by any measure. From the invisible sheeting molecules infused with H2O2- to the transition of grout and tile to the crystal clear glass, every detail was carefully considered to enhance your experience. Why do you recommend Valore to maintain our shower? 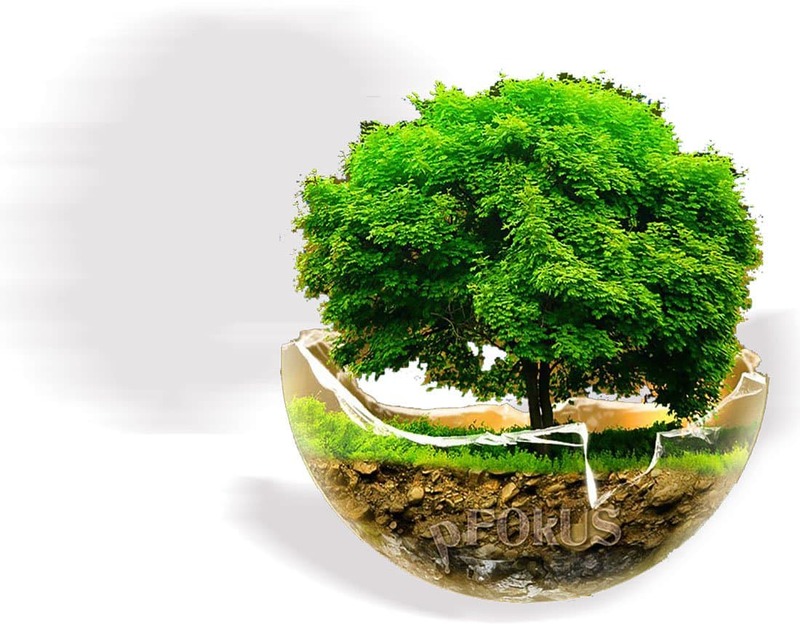 Valore is the only ‘Green’ cleaner on the market that carries up to 7% hydrogen peroxide, which disinfects and kills mildew. 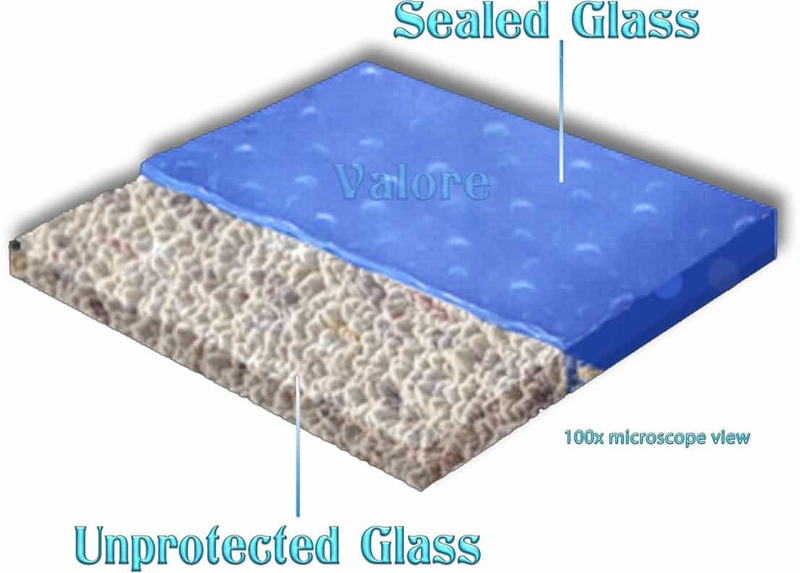 Valore also has a molecular sealant that will never build up and is formulated to dry streak and dot free. Will I have to wipe the Valore after I spray it? No. If the surface is not soiled, simply spray and leave. Valore has detergents in it to break down soap scum. If the surface is soiled or has soap scum, simply wipe clean. What can I spray Valore on? Glass, fixtures, aluminum framing, tile, sealed marble, travertine, slate, granite, mirrors, limestone, cultured marble and much more…. Will Valore make my surface slippery? No. If you spray Valore on your tile and let it dry, you will not feel the sealer. Valore will loosen bar soap and the soap could make the surface slippery, but once rinsed it will be fine. When should I apply Valore on my surface? You can simply spray after your shower and wipe the surface clean or apply an even coat across the shower and allow to dry. How often should I spray Valore after my shower or tub shower has been sealed? every couple months treat the rest of the shower walls. grout to get all the deeply embedded mycelia (roots) of mold.